Send emails your clients will actually want to read. 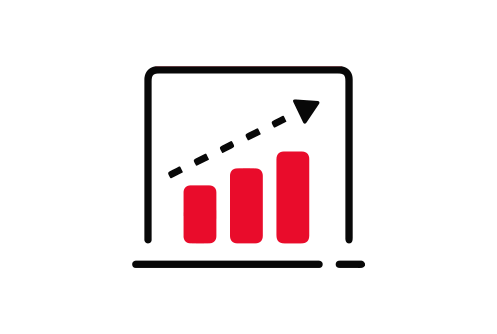 Stay relevant, keep contacts engaged and stake your claim as the market pro by empowering your contacts with accurate, real-time real estate market reports tailored to their needs. 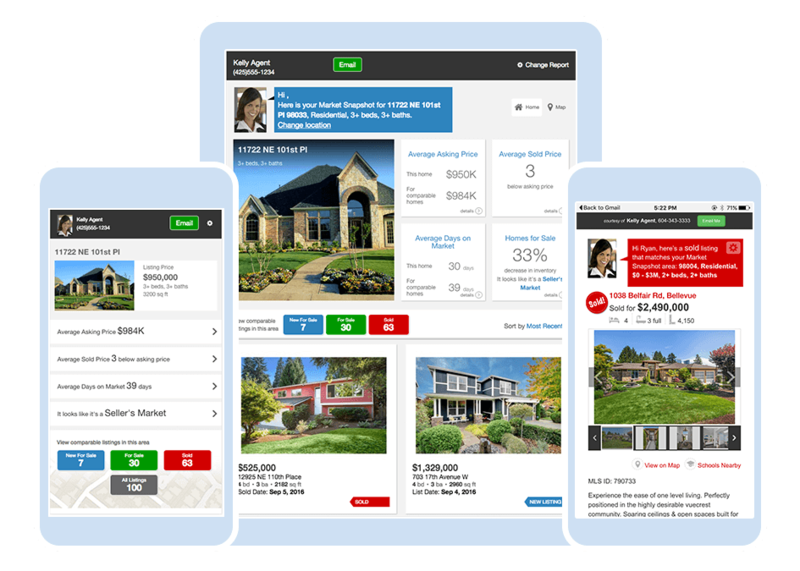 According to the National Association of REALTORS®, a majority of home shoppers use a mobile device during their home search.1 Service your clients with mobile friendly reports that scale naturally for mobile devices and tablets. Within moments, your clients are notified of new listings, price changes and sales as they happen – not when they’re updated on public records. Your clients will have the freshest MLS data right at their fingertips. Send real estate market reports that are relevant to your clients. Position yourself as the local pro with hyperlocal neighborhood data that resonates with clients and gives them the quality, accurate information they need to make decisions. Show your clients community and school information in their local neighborhoods with reports that include detailed demographic, school and amenities information for every U.S. ZIP code. Market Snapshot® carries your brand, and the information delivered is clearly attributable to you as the go-to real estate professional. When your clients are ready to act or have questions, they can contact you with the click of a button. Use a variety of custom alerts to automatically notify your clients of market data changes, even when you’re busy. Set up client-specific alerts to keep them informed within minutes of an MLS update. Stay top of mind and provide more value to your clients.